For student health advocates across the state and across the country, watching the developments surrounding the nation's first classroom digital device safety legislation during the recent Maryland General Assembly was a surreal, Alice in Wonderland kind of experience. Just the idea that parents would have to take their case to the state legislature, to protect their children from serious harm caused by their teachers and schools is a bizarre concept. Aren't teachers supposed to be caring, nurturing people who protect children? And yet, their silence is deafening, even after learning of the myopia, retinal damage, sleeplessness, muscle pain, eye strain, anxiety, depression and addiction associated with daily use of digital devices in school. Perhaps they are silenced by a craven shadow government, the Maryland State Department of Education, that consumes the lion's share of any budget, and then arrogantly dismisses the people who pay their salaries, while utterly disregarding the medical needs of the growing children whom they are paid to serve. Bloated and self-satisfied, state and local school boards and the crony political groups who shape them dole out mandates without a single thought to the health of our kids, and then - according to what teachers say privately - intimidate any staff member or teacher who doesn't get onboard. Worried about their performance reviews and professional futures, teachers then dutifully strap our children to computers every day. Exactly how many hours are kids online at school? The schools won't say. All that technology, all that data crunching, and nobody can generate a valid screen time report. Fascinating. Catching up with reality, let's remember parents are paying the taxes and sending the kids to school, where students are legally owed a safe learning environment. In return, our children are being systematically neglected in the pursuit of political agendas put forth by school boards and school bureaucrats at every level. With the full participation of their teachers. What is going on here? 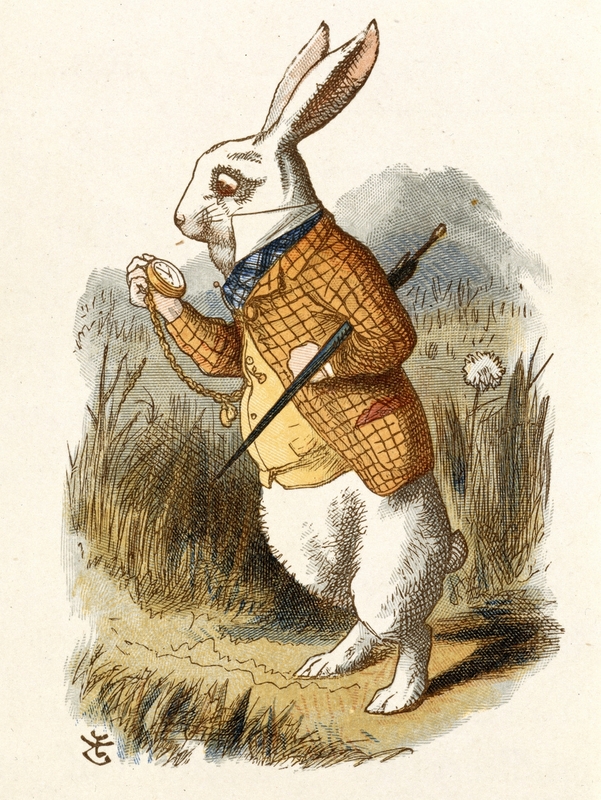 Chase the white rabbit. Drink me. And so emerged the Maryland classroom digital device safety legislation: HB866/SB1089. The bill directed the Department of Health and Mental Hygiene (DHMH) to create safety guidelines to protect our children from being harmed in a variety of ways from daily classroom use of school-issued electronic devices. The Maryland State Medical Society (MedChi) and the American Academy of Pedicatrics' Maryland Chapter (MDAAP) whole-heartedly endorsed the bills and warned lawmakers of the serious health risks facing our kids. With the medical community backing this effort, surely the legislators would listen. And of course, the Department of Health and Mental Hygiene would leap to defend our kids from being harmed. That's what they do, right? Protect kids from health hazards? But wait. There's a Cheshire cat. And a hookah-smoking caterpillar. Once the DHMH Office of School Health was publicly revealed in testimony and letters to lawmakers to be already responsible for crafting the digital device safety guidelines, things started to disappear from the DHMH Office of School Health website. The smoking gun - the page that outlined their responsibility - was pulled offline. And when the cached version of that smoking gun was then posted on www.screensandkids.us, it was pulled off the server altogether, so the public could have absolutely no web access detailing the DHMH Office of School Health obligations to protect our kids and draft safety guidelines. 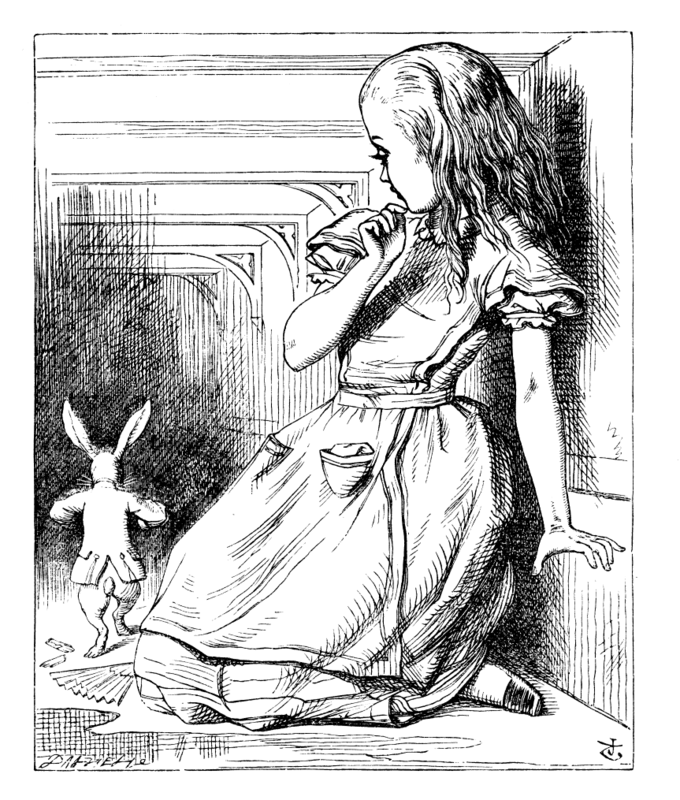 But Alice liked to read. She knew many techy things, and posted the full Office of School Health page online once again, making sure that the public could still see the disappearing pages, and know who was purposely hiding their responsibility to protect Maryland's children. The white rabbit dashes by. The schools are hurting our kids and they don't care. Are we still in America? The health department is supposed to protect them and doesn't care either. Are the flowers talking? Meanwhile, the Maryland State Department of Education (MSDE) wrote a fictional account for the Senate Committee hearing the bill, claiming they have plans to address the digital device safety issues themselves. They lied. They don't. They later admitted it. The House Ways and Means Committee conveniently sat on the House bill, leaving it up to the Senate Education, Health and Environmental Affairs Committee (EHEA) to vote down the Senate version. Ponder, for a moment. The Senate Education, Health and Environmental Affairs Committee refused to protect Maryland students from avoidable health hazards in the classroom that would have cost the state nothing. Zero dollars, and kids protected from permanent, avoidable harm. But... no. OSHA has protected office workers from many of the same health hazards since the 1990s. But our kids? Nothing. The bill died, along with hopes for any medical protection for Maryland students. Who did this? 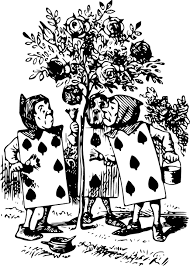 Jesters of the Queen, politicians who made hollow references to nonsensical objects. "Couldn't this cost the state extra money in furniture?" asked one delegate, trying to sound "thoughtful." "What about cell phones at lunch and in between classes?" wailed a Senator as if the schools were now issuing cell phones. But who exactly is the Red Queen? There was no authentic opposition to the bill. And those who voiced "concerns" had no sound reasoning, especially in light of the serious health risks to children, as verified by the state's medical community. strangled this critical legislation to protect our kids? Is the state school system so aggressive and feared that nothing and no one can interrupt its singular goal to strap our children to computers all day? Or is the health department so determined to avoid responsibility for protecting students they will do anything to stop the bill? Is it both of them, working together? Or is it the teachers' union, who took "no position" on the legislation? The only lawmakers who balked at the bill are staunch teachers' union supporters; one of them is even a teachers' union employee. Another union-supported EHEA Committee member tweeted out enthusiasm for the bill during the hearing, but then voted against it. Was she "educated" during the meeting? If that's the case, teachers might want to check with their own union rep to see just who got thrown under the bus this year, along with our children. Did your union even mention this classroom safety legislation? Do Maryland teachers know that they can be sued by parents if a child is damaged by a known harm that should have been avoided? Look up your "Duty of Care," and then reconsider the screen time you impose every day on our children. But perhaps the invisible hands came from even higher sources. The state's pediatricians and medical society agree that students will be harmed by unregulated daily use of the tools that the school system is requiring our children to use. This very simple bill did nothing but put medical oversight on the relentless use of school-issued equipment that has been recognized to be hazardous for decades. Someone in leadership could have made this bill go through. No one did. As a result, Maryland students have been abandoned by nearly every state agency, school employee and elected official in the state of Maryland. 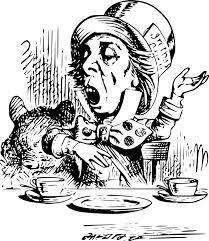 Apathy and lunacy have ruled the day. And while this General Assembly session was certainly nightmarish, it wasn't all a dream - many more people are now aware of the health risks facing Maryland students and will continue to pursue classroom safety guidelines. There were many heroes in this effort. Delegate Steve Arentz sponsored the House bill and rallied 26 co-sponsors. Twenty-six, bi-partisan sponsors from one side of the state to the other. Quite a feat, and very well done. Thank you to those co-sponsors. And thank you, Delegate Arentz. Your commitment to Maryland students is unquestionable. You are a hero for our children. Gene Ransom and his team at MedChi saved the day, and came to the defense of our children. Heroes. The MD chapter of the American Academy of Pediatrics, heroes, recognizing screen safety needs in the the classroom for the very first time. More heroes: Senator Jim Brochin and Senator Susan Lee who stood up for kids and co-sponsored the Senate bill sponsored by Senator Steve Hershey. Thank you. And thank you to Senators Ron Young, Johnny Ray Salling, Shirley Nathan-Pulliam, and Bryan Simonaire who all voted for the bill in the Senate EHEA Committee. Thank you, thank you, thank you. And there were many supporters across the state, and nationwide. Thank you, Parents Coalition of Montgomery County, Advocates for Baltimore County Schools, Baltimore County PTA Council, Campaign for Commercial-free Childhood, Prevent Blindness, Parents Across America, and national child advocates Dr. Nicholas Kardaras, Cheri Keisecker, Roxana Marachi, and Rae Pica. And a very special thank you to the incomparable Paula Poundstone and Rams Head Tavern for participating in a press conference to raise public awareness about screen safety. Thank you to all the parents, professors, authors, child development experts and eye specialists who wrote and testified as well, including Dr. Geoffrey Goodfellow, Dr. Scott Sikes, Dr. Maria Pribis and especially Dr. Jared Duncan. Yes, there was a great deal of support. Now it is up to the parents to roll up their sleeves, get a full account of the screen time required by their schools, monitor their children's online school activities, and put every single person who is responsible for their children's protection on notice. We are parents, taxpayers and voters. We won't forget who abandoned our children and enabled them to be in harm's way. Maryland's elected officials, teachers, administrators, school boards, departments of education and health departments will now all be held accountable for their legal duty to protect our kids, since those responsible have clearly abandoned their ethical and moral obligations to do so.